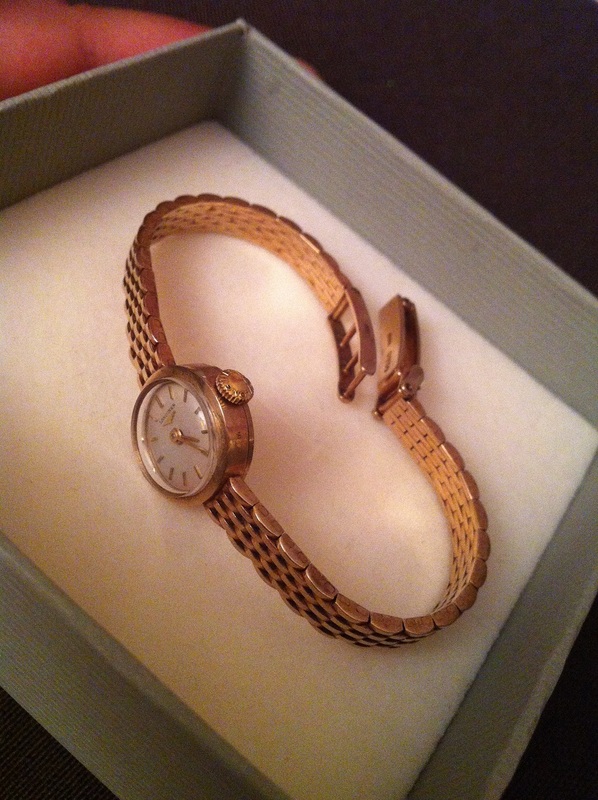 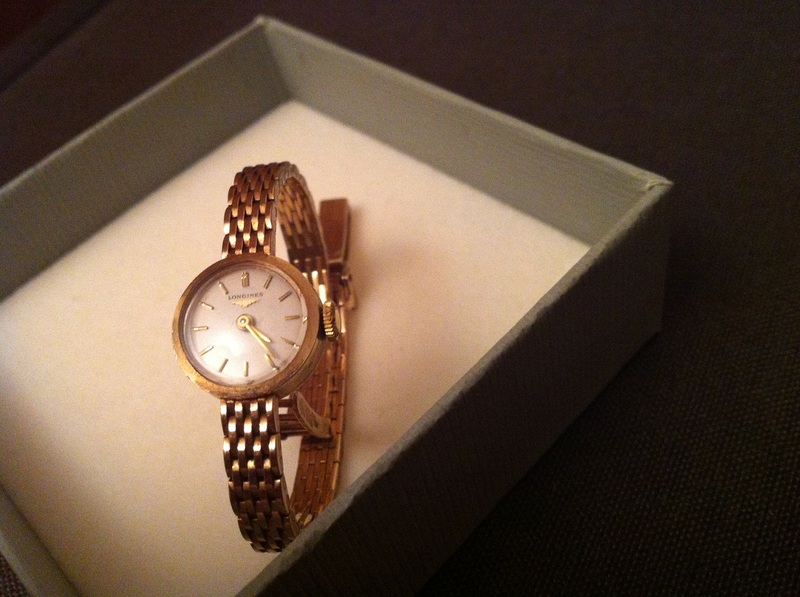 A very pretty vintage Longines ladies watch bracelet circa 1965. 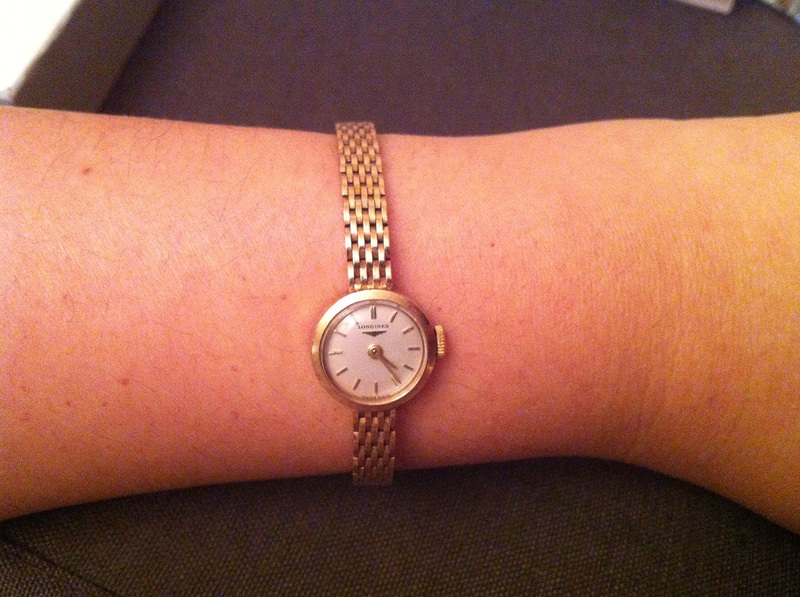 It is not a big watch, I think they called it a cocktail watch, as its diameter is less than 2cm. 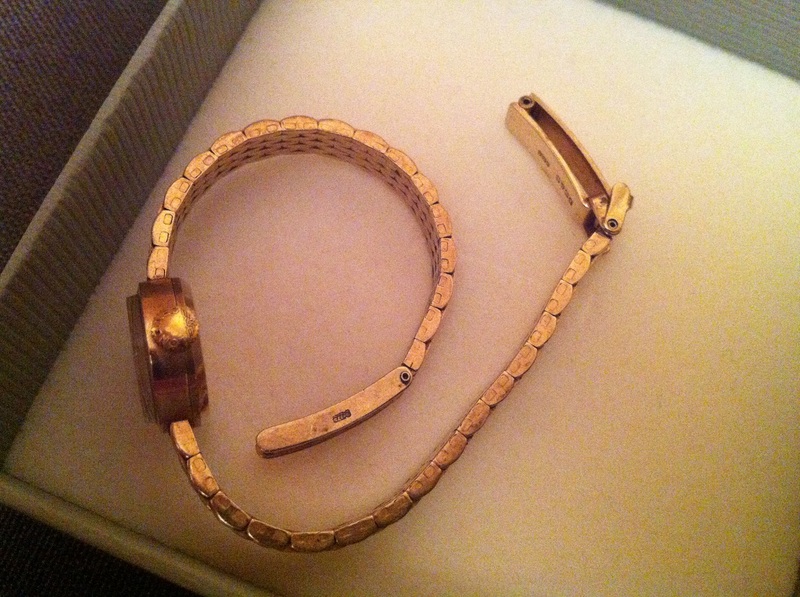 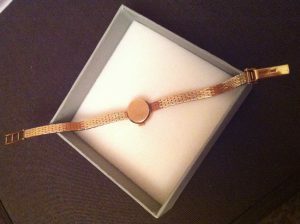 It has a 9ct case and 9ct bracelet and the total weight is about 19.50 grams. 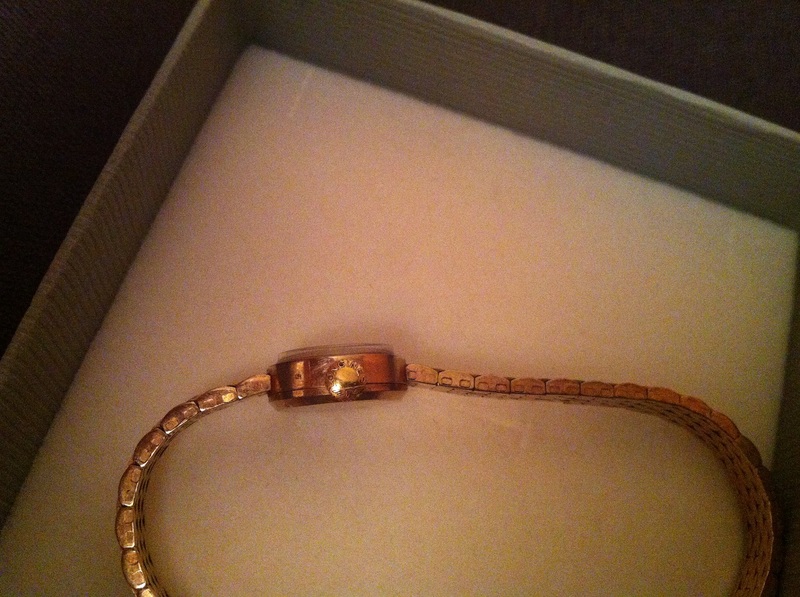 There is a marker mark of DS&S on the strap. 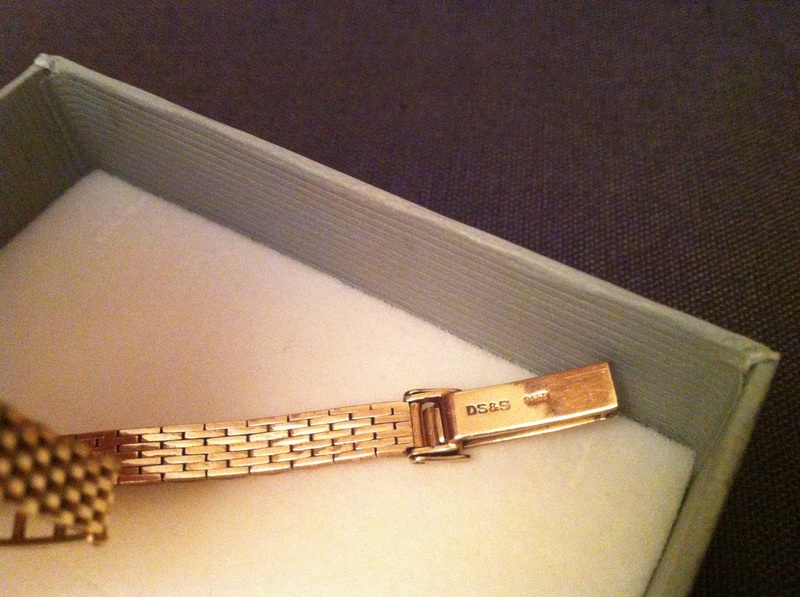 According to the seller, DS&S is the mark used by Shackford and Sons for Longines. I like this integral bracelet as it shows that the watch maintains its originality.